Note: This is an especially poignant post for me to run this week because our troops have pulled out of Iraq and are returning home soon. The story is about a girl waiting for her father to come home from his military posting. Just remember--the Iraq conflict may be done, but troops are stationed throughout the world and there are still military families who will be missing their loved ones during this holiday season. This story is for them. I have won 100% of the stories for kids writing contests I’ve entered. Of course, since I’ve only entered one, it's easy to say. I’m picky about what I enter and I may never enter another one. Here’s why I did enter “The Help” Children’s Story Contest (www.takepart.com/thehelp). In August, I returned from vacation and saw info on a writing contest related to the movie, “The Help,” based on the novel of the same name by Kathryn Stockett. I live in Little Rock, home of the infamous Central High Crisis over Civil Rights, when the Arkansas governor called out the National Guard to prevent nine black children from attending Central High School. Today, the National Park Service runs a National Park at Central High to commemorate the struggle for civil rights as it played out here. Everyone I know was talking about this new movie, The Help, and loving it. But I’m skeptical about contests. And I had criteria. What’s the benefit to winning this writing contest? For me, the benefit to winning this contest was publicity. "The Help" is a high profile movie and stories for kids are not. To be associated with this amazing story could only help my career. Who is the judge of this writing contest? 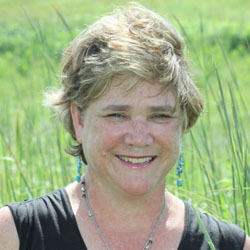 Lou Berger, children’s author and former Head Writer for the popular children’s television series Sesame Street, judged the children’s story contest entries. It was important that the judge was credible and a good judge of writing. What is the fine print of the writing contest? Of course, a contest often has simply awful contract details, often so bad that they will grab all rights and you get nothing. Ever. In this case, the contract said the contest retained NONEXCLUSIVE rights. Before I signed the contract, I verified that I still retained the copyright and could exploit it as I wanted. What is the prize of the writing contest? Also important was the dollar amount of the prize, because I am responsible for taxes on that amount. It’s a bummer to win a prize and then have to pay taxes on it! Fortunately TakePart also offered a small cash prize. When the cost of illustrations and the cash prize were added together, the cash will just about pay the taxes. I would be out zero dollars. Did I have a likely story that fit the contest rules? Finally, I had to have a story that fit the contest! I looked over my files and chose one I liked, but had seen several rejections. I added a Nanny and took out 200 words to wind up one-word under the 400-word limit. In this case, the benefits, the fine print, the prize, the judge, and my story all matched up. I entered. I won! Author and writing teacher Darcy Pattison blogs at Fiction Notes (www.darcypattison.com). 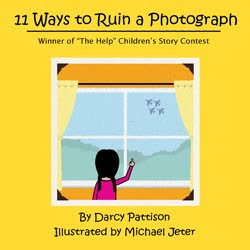 Read more about "The Help" Children's Story contest at the 11 Ways to Ruin a Photograph website http://11ways.darcypattison.com. Congratulations! What a great success story, and good questions to ask when you are deciding whether a contest is right or not for you to enter.